If you need to store a large amount of materials or cargo, you can’t go wrong with bulk storage baskets. These wire baskets make it easy to store all kinds of items in your warehouse, including consumer products, industrial supplies and other dry goods. They’re easy to maintain and completely reusable, so your business can save on storage supplies. Let’s look at more of the benefits of using bulk baskets for storage. Your company only has a limited amount of warehouse space to work with, so you might as well make the most of it. Using the wrong kind of storage container can take up precious space in your facility, so you need to choose your storage materials carefully. Wire bulk baskets help you utilize this space more efficiently by saving room where it counts. You can easily hold up to 2,500 pounds of cargo in a single basket, so you can get a lot of items out of the way without taking up too much floor space. You can stack them on top of one another to save even more room around your facility. These containers are also collapsible, so you can quickly fold them up and get them out of the way when your storage needs change. Considering labor costs account for around 65 percent of most warehouse facilities’ operating budgets, you should do everything you can to streamline routine procedures like cargo transportation. Many bulk baskets come with wheels or built-in pallets, so you and your team can move them with ease. You don’t have to worry about the pallet sliding out from under the container or the need to chase down a pallet when you want to move an item. Just power up the forklift and you’re ready to start moving your inventory. With high labor costs, your company can save money by speeding up the inventory process as well. If your team wastes too much time opening your storage containers to see what’s inside, consider switching to transparent storage containers like metal wire baskets. One glance and your employees will know exactly what’s inside the container and how much space is left within it. This will dramatically speed up the inventory process, as your employees quickly take stock of their surroundings. If a customer is looking for a particular item, your team will know exactly where to find it instead of having to search through dozens of containers. You and your team can also keep an eye out for any product damage just be visually inspecting the container. Without wire baskets, you might open one of your containers only to find that some of the contents are damaged. Stay ahead of the curve with transparent wire baskets. 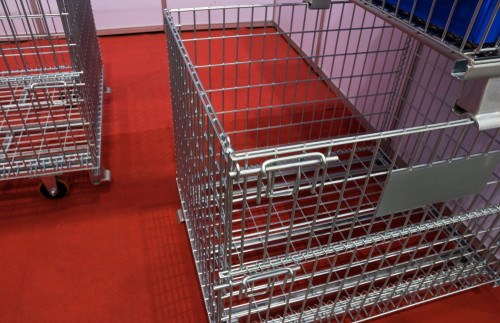 Unlike other bulk storage materials like gaylord boxes, wire mesh baskets are completely reusable. You don’t have to worry about everyday wear and tear ruining your containers over time. These metal wire units are durable and made to last, so you can keep using them for storage without having to invest in new materials. While the metal can rust if your baskets are stored outdoors, with some simple maintenance, you can keep reusing these baskets for years on end. Be sure to wipe them down after every use and store them in a dry, temperature-controlled room so they won’t rust over time. You should also use caution when moving the baskets around. Save money on your storage materials and keep using your wire metal baskets for years to come. Unlike some types of storage containers, you can use metal wire baskets to store all kinds of items and supplies. While they’re best used for scrap materials, industrial parts, tools and equipment, you can use them to store all kinds of bulky items. From packaged goods to dirty towels, you can find all sorts of uses for these handy containers. The metal walls and doors are strong enough to support all kinds of heavy items without bending or breaking. 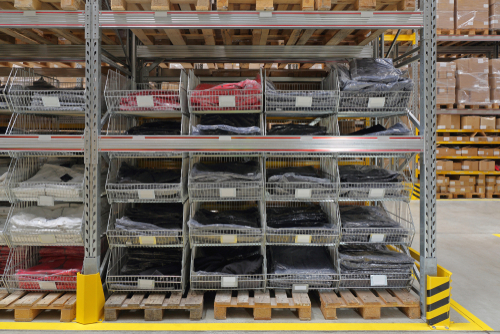 There’s also plenty of room inside if you need to store irregularly-shaped items in your facility. 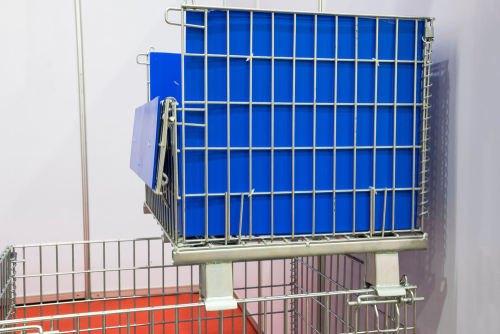 There are so many benefits to using bulk baskets for storage in your facility. You’ll always know what’s inside, and you won’t have to worry about these items breaking down over time. Simplify your storage needs with wire bulk baskets.